I'll be honest, on the last day of our vacation I just wanted to power through and drive straight home and skip staying the night and sightseeing Ljubljana (pronounced lyoob-lyee-AH-nah - crazy right?!). But you know what? If I had to come back and live anywhere in Europe, I would live in Ljubljana, honest to goodness! Can you believe it? And we almost didn't go! I'm so glad we did. Tiny, overlooked Slovenia is one of Europe's most unexpectedly charming destinations. At the intersection of the Slavic, German, and Italian worlds, Slovenia is an exciting mix of the best of each culture and has stayed off the tourist track somehow. Rick says, "Be warned: I've never met anyone who visited Slovenia and didn't wish they'd allotted more time for this delightful, underrated land." It's so true! I wish we had more time! We have a Slovenia trip planned for next summer so we can visit the Julian Alps and give this country a more thorough viewing :) Today, it seems strange to think that Slovenia was ever part of Yugoslavia. 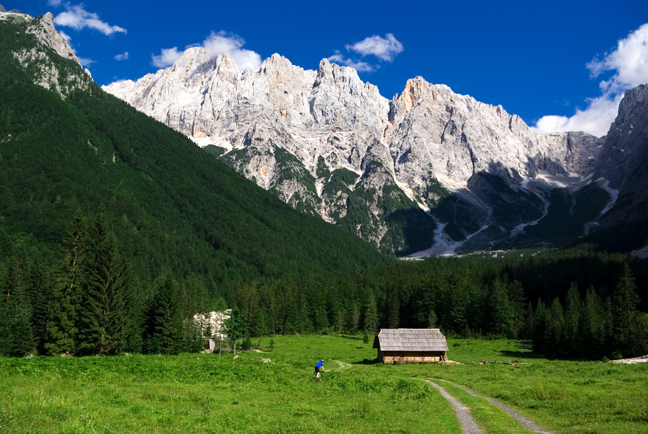 Both in the personality of its people and in its landscape, Slovenia feels more like Austria. Slovenes are more industrious, organized, and punctual than their fellow former Yugoslavs... yet still friendly, relaxed, and Mediterranean. Locals like the balance. 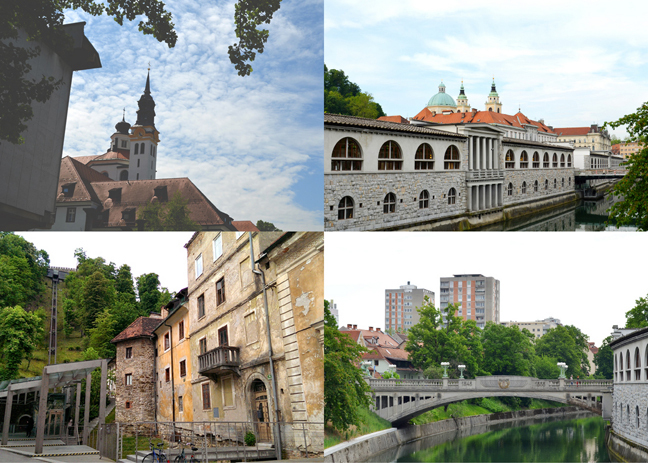 Visitors expecting minefields and rusting Yugo factories are pleasantly surprised to find Slovenia's rolling countryside dotted instead with quaint alpine villages and the spires of miniature Baroque churches with breathtaking, snowcapped peaks in the distance. Only half as big as Switzerland, Slovenia is remarkably diverse for its size. Travelers can hike on the alpine trails in the morning and explore some of the world's best caves in the afternoon, before relaxing with a seafood dinner on the Adriatic. Slovenia enjoys a powerhouse economy - the healthiest of all of Europe's former communist countries. We arrived at our apartment around dinner time. A 4th floor apartment in a brand new complex. 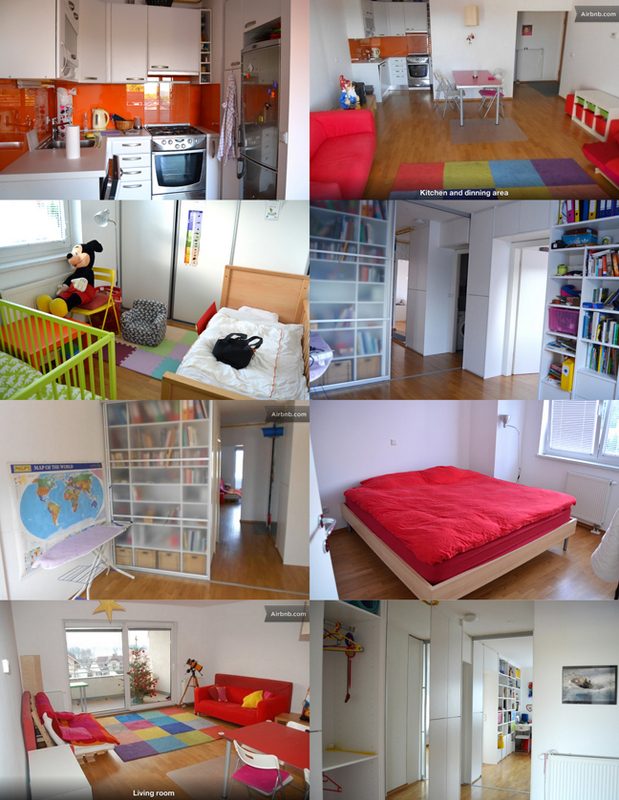 The apartment was an IKEA showroom! We loved it! Open, spacious, clean, fresh, had everything we needed, parking out in front, free internet, etc! 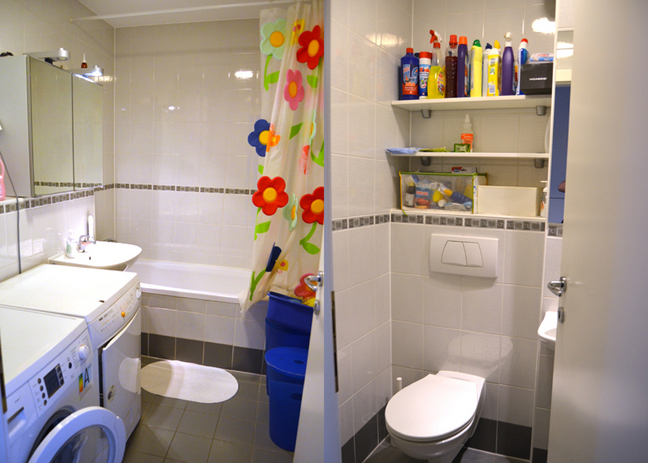 The toilet was separate from the bathroom which was super helpful. Fox and Jane loooooooooooved having a million (thank you Marco Polo!) toys to play with! The only thing about these apartments is most of them didn't have a microwave so this is how we had to warm Jane's bottles since she ONLY drinks her milk warm. Can't complain though for $42 a night! This was our view from the balcony. Stellar. We parked our car in a parking garage and then walked to Prešeren Square. The heart of Ljubljana is this square - it's always been bustling, but now it's more people-friendly than ever since the mayor recently outlawed buses and taxis here. The city's meeting point is the large statue of France Prešeren, Slovenia's greatest poet whose works include the lyrics to the Slovenian national anthem. The statue shows Prešeren being inspired above by a naked muse which sparked outrage and the poor lady who modeled for the muse was banished. 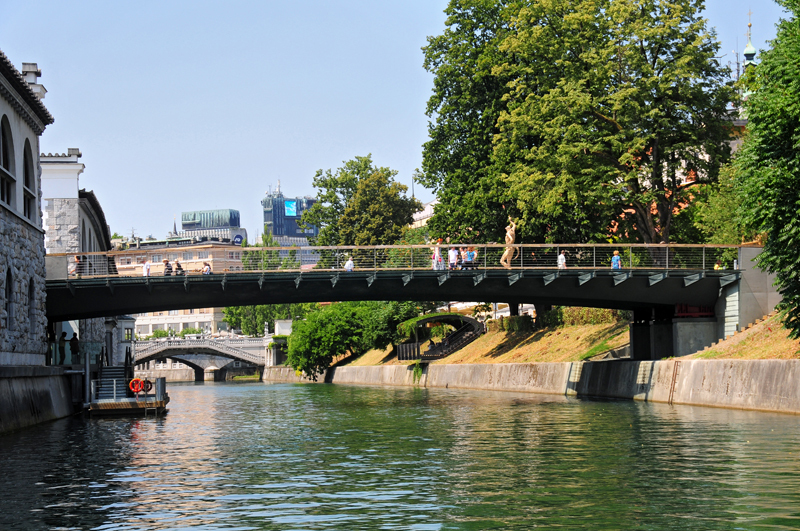 The bridge across the Ljubljanica River is one of Ljubljana's most important landmarks, Jože Plečnik's Triple Bridge. The middle part of this bridge already existed but Plecčnik added the two side spans to more efficiently funnel the six streets of traffic on this side of the bridge to the one street on the other side. 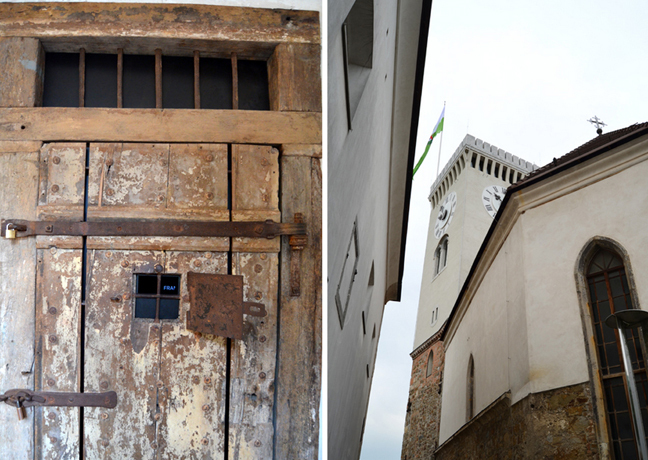 When Ljubljana was hit by an earthquake in 1895 locals took the opportunity to rebuild in style. 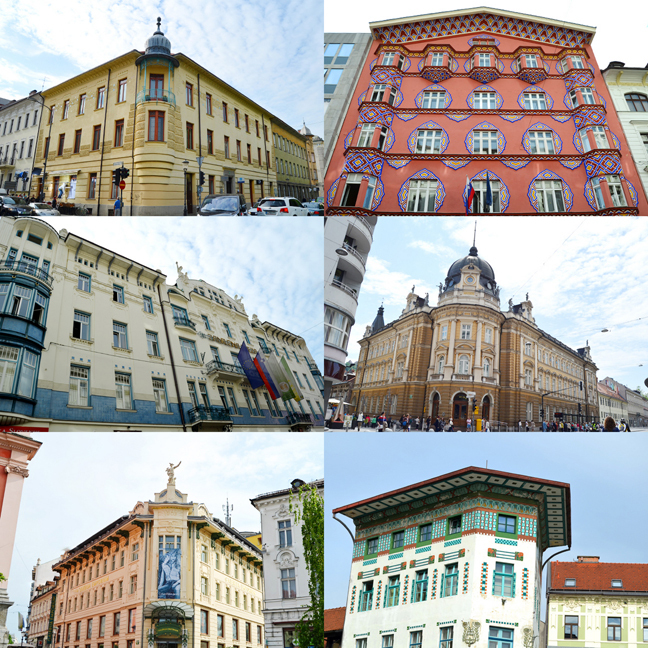 Today Ljubljana - especially the streets around this square - is an architecture-lover's paradise. I for one fell in love with all of these buildings! 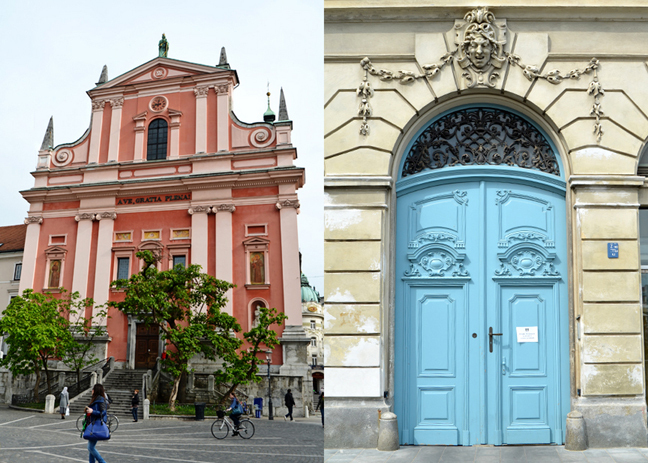 The pink church dominating Prešeren Square is the Franciscan Church of the Annunciation. Its red color is symbolic of the Franciscan monastic order. 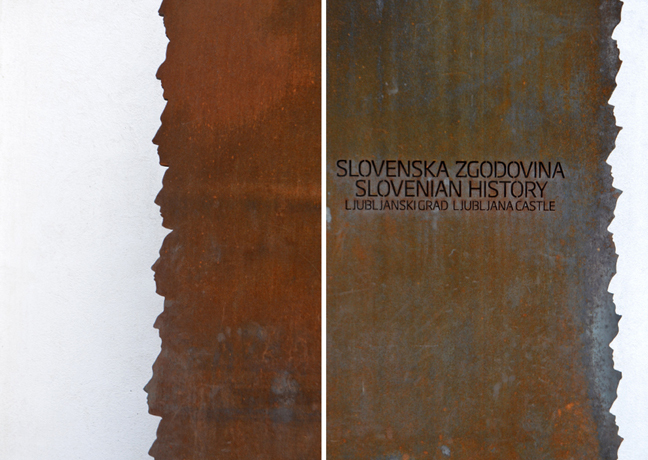 Since 2008 the church has been protected as a cultural monument of national significance of Slovenia. | A really pretty blue door. We walked across Triple Bridge. Then we walked through the riverside colonnade which echoes the long-gone medieval city wall. 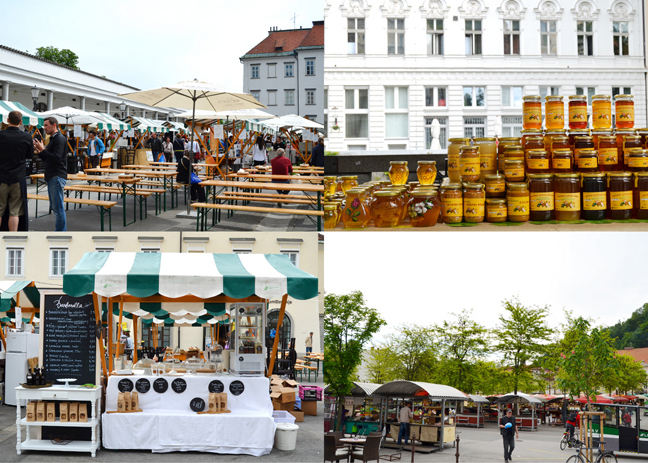 The first stretch through the colonnade is good for souvenirs like woodcarvings, miniature painted frontboards from beehives, honey products, and lots of colorful candles. Farther down the Riverside Market is almost all local and the colonnade is populated by butchers, bakers, fisherman, and lazy cafés. We reached a market selling allllllll kinds of food. The vendors in the row nearest the colonnade sell fruit from all over, but the ones located deeper in the market sell only locally grown produce. These producers go out of their way to be old-fashioned - a few of them still follow the tradition of pushing their veggies on wooden carts to the market from their garden patches in the suburbs. The 10-foot-tall cone was from Plečnik who wanted to make Ljubljana the "Athens of the North" and imagined a huge hilltop cone crowning the center of a national acropolis - a complex for government, museums, and culture. The idea never got off the drawing board except for this Greek-inspired market they call agora. We walked to the Butchers' Bridge which was originally designed by, you guessed it, Plečnik, but like so many of his designs the original roofed bridge plan was scrapped. Decades later, once tourists started to come seeking his work, some town politicians dusted off the old plans and proposed building the bridge. The project stalled for years until one mayor swiftly constructed this modern version of the bridge. While it looks nothing like the original plans the bridge kept the name and has been embraced by the community. Almost as soon as it was built the bridge's railings were covered with padlocks - part of the recent Europe-wide craze for couples to commemorate their love by locking a padlock to a bridge railing. Weird. We've seen it e'erywur. But all those locks are just too much for the railing to support and are regularly cut off, soon to be replaced by new ones. The sculptures on the bridge by local artist Jakov Brdar were originally intended to be temporary, but people loved them so they stayed. The left and right pictures are of a mourning Adam and Eve after being evicted from the Garden of Eden. I think these are super creepy, albeit cool, statues. What's with the tail on the middle statue? We couldn't miss the bizarre smaller sculptures that look like mischievous lizards breaking out of their eggs. Then we walked down to the Dragon Bridge. 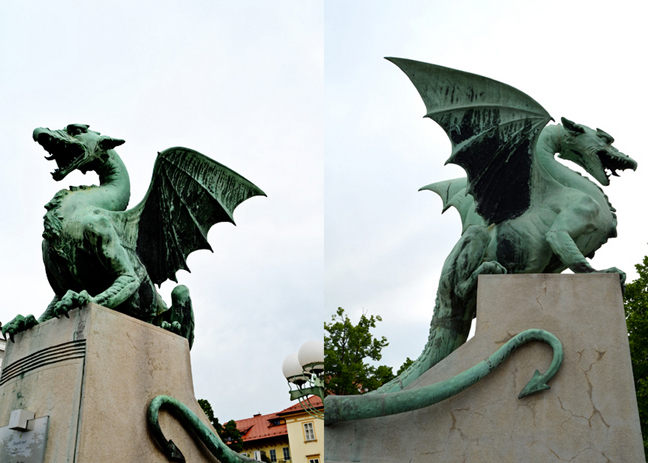 The dragon has been the symbol of Ljubljana for centuries - ever since Jason (of Argonauts and Golden Fleece fame) supposedly slew one in a nearby swamp. This is one of the few notable bits of Ljubljana architecture not by Plečnik but by Jurij Zaninovič, a fellow student of Vienna architect Otto Wagner. The dragon is the star of this very photogenic Art Nouveau bridge. 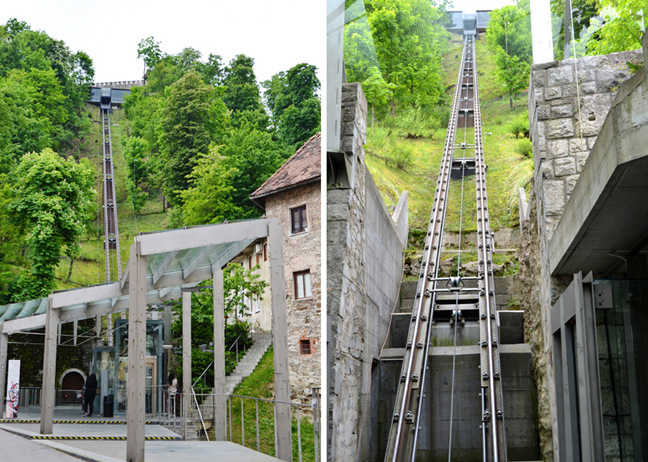 From Dragon Bridge it was a short walk to the funicular that goes up to the castle. There was a row of tattered but awesome-looking buildings leading up to the funicular. We bought our tickets and waited about 10 minutes for the next ride. Typical. We were the only ones until 30 seconds before the tram got there... Look how many of them are staring at Jane! Sweet view looking down the funicular. 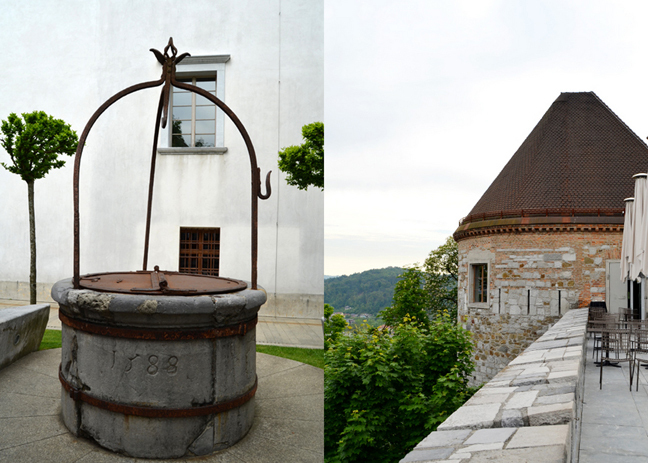 The castle above town offers great views of Ljubljana and the surrounding countryside. Check out those mountains way far out there! There has probably been a settlement on this site since prehistoric times, though the first fortress here was Roman. The 12th-century version was gradually added on to over the centuries until it fell into disrepair in the 17th century. Today's castle was rebuilt in the 1940s, renovated in the 1970s, and technically still unfinished as it's subject to ongoing additions. We went inside the old prison and took a gander at the clock tower. Prison cells. Then we went inside the Gothic chapel next to the prison (funny to have bad right next to good!) 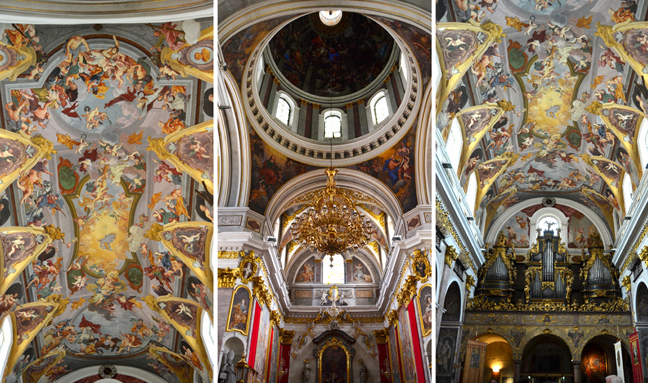 filled with Baroque paintings of the coat of arms of St. George. Check out the doors of this museum. Pretty cool! Everything here is so cool! At the funicular waiting area is a place where people can place and exchange books. This seems so American to me, never seen this anywhere in Europe but here; another reason I would so love to live in Ljubljana. The foundations are all super modern and built right in to the super old castle parts. Love love love it. Back down on the main level, I saw this wonderful hand-drawn poster. 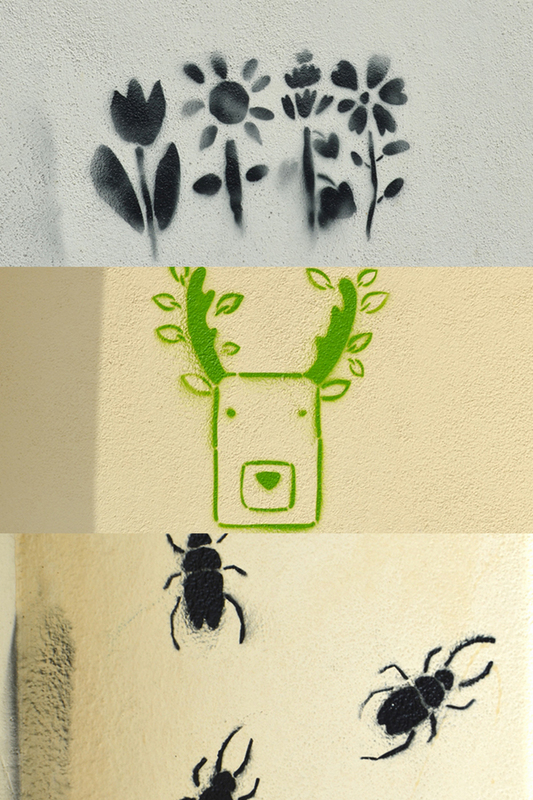 I kept seeing really cool logos and designs all over Ljubljana! So hip! I love this city! We walked through the colorful flower market and breathed the wonderfully scented air. Then we came to the Cathedral which is dedicated to St. Nicholas, protector against floods and patron saint of the fishermen and boatmen who have long come to sell their catch at the market. 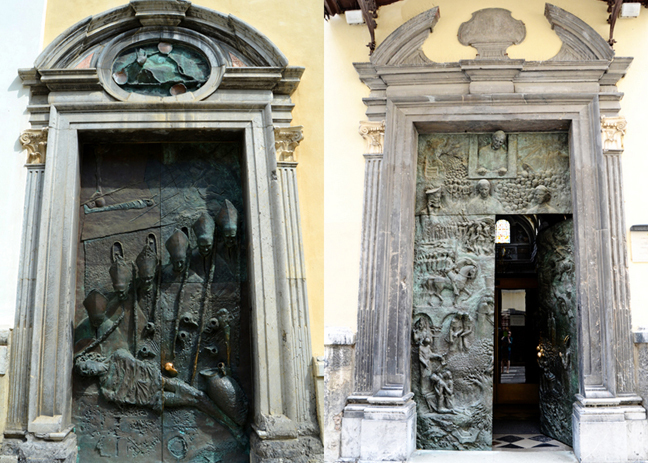 The intricately decorated doors were created for Pope John Paul II's visit here in 1996. 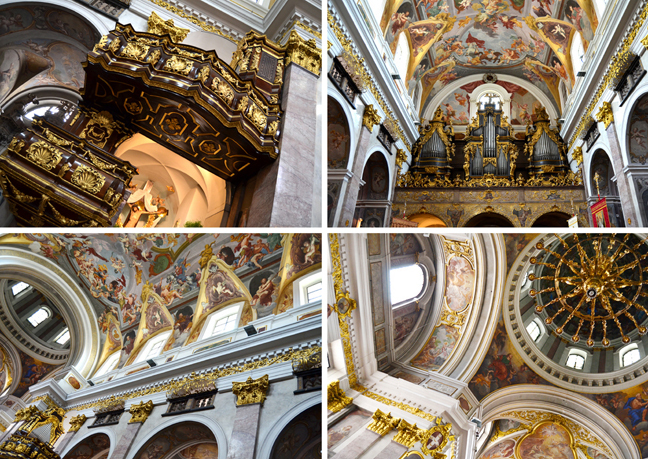 The cathedral's interior is stunning Italian Baroque. The transept is surrounded by sculptures of four bishops of Roman Ljubljana when it was called Emona or Aemon. The ceiling frescoes were recently restored. This is definitely one of the more ornate churches we'd been in - especially on this trip! How fun is this graffiti?! We met back up with Jaylie and they were eating a quesadilla that made our mouths water. We had to have one too. They got it at one of the stalls in the market so we backtracked and ordered one for our family. While the quesadilla was prepared Fox and Jane sat at this little made-for-kids table complete with markers and drawings. What an awesome idea!!! Thanks Ljubljana! 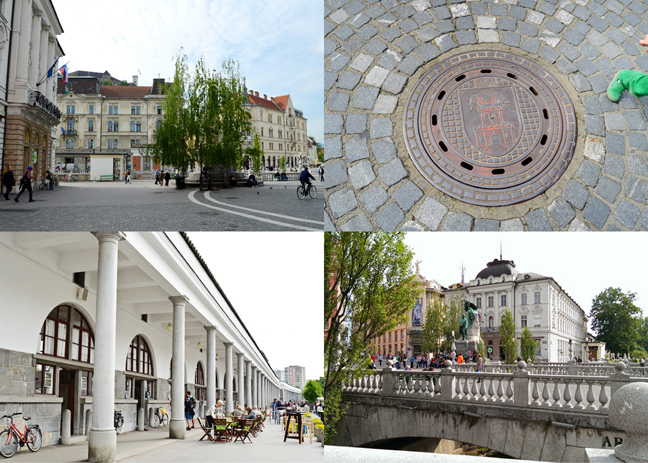 More pics from our day in Ljubljana. We'd seen 2 of the 4 bridges, might as well see another, so we walked down to the "Ugly Duckling" bridge. That's it's name for reals. Looking down the Ljubljanica River from the Ugly Duckling Bridge. Another family photo :) Jane had fallen asleep, always on Daddy! Across the bridge is Congress Square - this grassy tree-lined square is ringed by some of Ljubljana's most important buildings: the University headquarters, the Baroque Ursuline Church of the Holy Trinity, a classical mansion called the Kazina, and the Philharmonic Hall. Once clogged with traffic, the area surrounding the square was recently pedestrianized. What the what? I hope that's not a real skeleton! Then we walked to the Square of the Republic. This square is essentially a parking lot ringed by an odd collection of buildings. This is where Slovenia declared independence in 1991. The world's biggest digital watch, flashing the date, time, and temperature is on the top right of the right building. These buildings were supposed to be the Slovenian Parliament buildings (and twice as tall connected by a sky bridge), but Tito didn't approve since it would have made Slovenia's parliament bigger than the Yugoslav parliament in Belgrade. Instead the Slovenian Parliament was built across the street. It's a strangely low-profile office building with a sculpted entryway. The carvings are in the Socialist Realist style, celebrating the noble Slovenian people conforming to horrible communist ideals for the "good" of the entire society. Passing the grassy park called Trg Narodni Herojev. Say that 10 times fast! We found the quaintest US Embassy building of all time! Such a pretty yellow chalet with brown trim and a red roof! Across from the Modern Art Museum is the Serbian Orthodox Church of Sts. Cyril and Methodius. 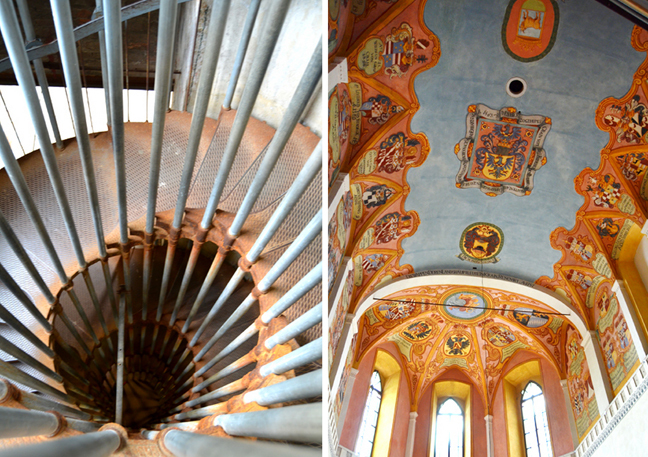 Ljubljana's most striking church interior isn't Catholic, but Orthodox. This church was built in 1936, soon after the Slovenes joined a political union with the Serbs. Wealthy Slovenia attracted its poorer neighbors from the south, so it built this church for that community. Since 1991 the Serb population continues to grow as people from the struggling corners of the former Yugoslavia flock to prosperous Slovenia. We stepped inside. Pictures weren't allowed so I had to be sneaky about this one. The church is colorfully decorated without a hint of the 21st century, mirroring a very conservative religion. A few pictures from our walk back to the car: National Theater. Such a pretty pink building! There are recycling bins for all kinds of rubbish on every corner. Also seems very Western to me! I love that they try to keep the city clean. For some reason I love the graffiti around this modern telephone booth. We had one more stop to make before the looooong drive back to Germany. Lake Bled, Slovenia, just 45 minutes from Ljubljana. I'm not going to do the write-up and history of this place this time because we have a trip planned back next summer where we'll spend the night and walk around the entire lake and really "get to know" it. But here are some pics for us to remember why we want to come back! It's so stinkin' PRETTY! Evans family at Lake Bled, Slovenia on Friday May 9th 2014. Oh Jaylie. We miss you! We ate the town's specialty dessert, a cream cake called kremna rezina - a layer of cream and a thick layer of vanilla custard sandwiched between sheets of delicate, crispy crust. 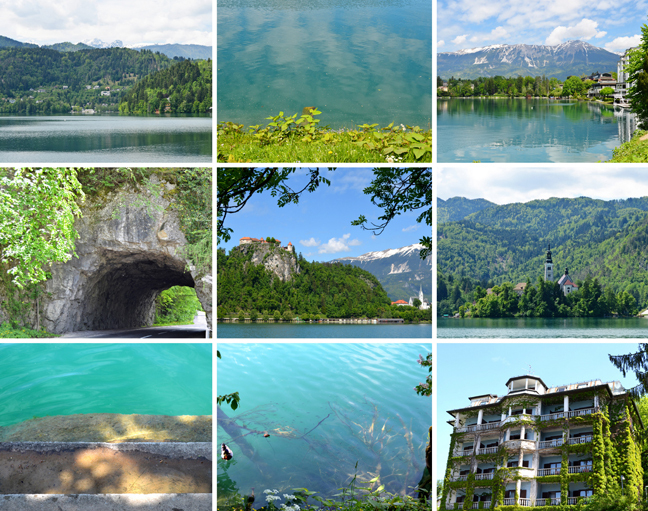 A short and sweet trip to beautiful Lake Bled and a long drive back home. Wow wow wow! What a gorgeous place!!! Loving that photo of Chris in front of the Dental Studio poster! HA!!!!! This really was an incredibly pleasant surprise! I can't wait to go back to Slovenia and explore even more! I would love for you to be my guide on a vacation ANYWHERE. Thanks for sharing this wonderful vacation with us. Love that first photo with the mountain behind the cottage, and the dragon bridge!! And the lock thing on the bridge is strange, but cool. Never heard of that before!! Wow....amazing sights! You do Rick Steve proud!! Love seeing your traveling posts! Thanks so much for sharing! Thanks so much for these posts on your recent holiday. I am sure those of us who have been reading them really appreciate the time you have taken to post them. I am looking forward even more now to seeing Dubrovnik, Ljubljana and Lake Bled myself in the next couple of months. oops, sorry wrong account. should have been mine. Oh wow! I want to live there too! So pretty!!!! We have "little free libraries" all over our neighborhood, so yes, it is very American and I love it. Glad to see Slovenia has adopted such a great idea!